Here is an explanation of what your chest muscles look like and what home exercises give your chest a nice, impressive look. From push-ups over flyes to dumbbell presses. First of all let’s look at where those chest muscles are and what area they occupy. 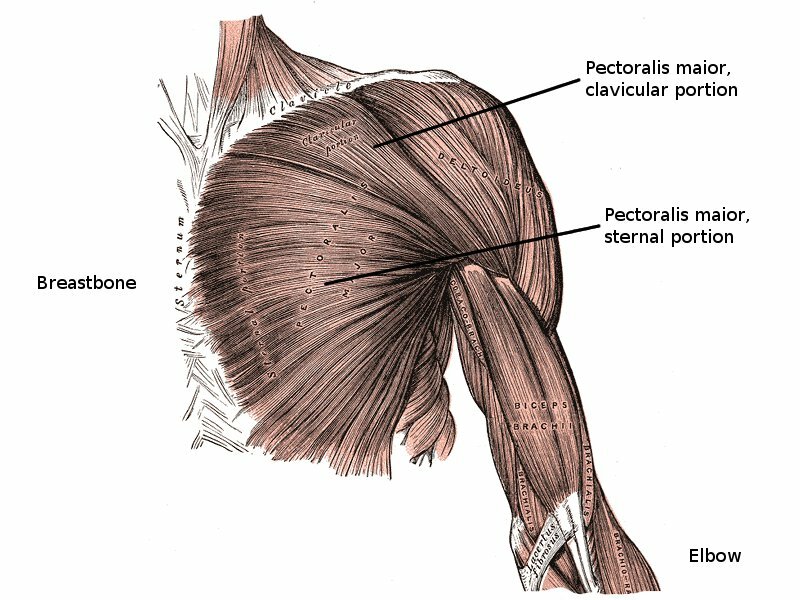 The two portions of the pectoralis maior muscle: sternal and clavicular. When yo want to train the upper chest, declined push-ups and inclined exercises with weights target it.